I am a Senior Lecturer at the School of Engineering and Mathematical Sciences at City, University of London. I am part of the Information Engineering & Medical Imaging Group and I also collaborate closely with the Biomedical Engineering Research Group. My overall objective is to shed some light into the causes and processes of human illnesses especially cancer, and the infection or inflammation processes related to these diseases. By analysing the images and videos from many experiments I hope to and contribute in finding ways to cure and prevent them. Analysis of motility and shape of neutrophils as observed in zebrafish. For this purpose I have developed a computational framework, which provides segmentation, tracking and measurement extraction together with visualisation and post-processing tools. Agent-based simulation of neutrophils. In my view the cellular complexity of neutrophils and macrophages may be better understood if the cells were not synthesised as a single agent, from which a series of single measurements were obtained, but rather as an agent that contains other agents. I therefore propose a novel approach, where neutrophils are modelled as a hierarchy of nested agents. Analysis of cancer-related data sets, which concentrate on the microcirculation of solid tumours in pre-clinical settings, as well as immunohistochemistry of patients’ data sets. English (can read, write, speak, understand spoken and peer review), French (can read, write, speak and understand spoken), Italian (can read, speak and understand spoken) and Spanish; Castilian (can read, write, speak, understand spoken and peer review). * the interpretation of the data (2D images, 3D volumes, 2D+t videos, 3D+t volumetric time lapse data sets). This final stage is crucial, what conclusions can we draw from the images? Can we reveal something of the underlying biological processes of cells or tumours? What are the effects of drugs or treatments? By using image analysis we are able to extract a wealth of information that is present in the images we capture, and that it is not possible to obtain by simple qualitative analysis. My overall objective is to shed some light into the causes and processes of human illnesses especially cancer, and the infection or inflammation processes related to this diseas. By analysing the images and videos from many experiments I hope to and contribute in finding ways to cure and prevent them. I have analysed different biological processes - cell migration, vascular permeability, red cell velocity, inflammation - and this research has lead to more than 25 journal papers. - Tracking of fluorescently labelled Red Blood Cells. - Quantification of vascular permeability to FITC-Dextran in tumours. - Measurement of cell migration in vitro. - Geometrical analysis of vessels from immunohistochemistry images stained for CD-31. - Topological analysis of tumour vasculature in light microscopy images. - Measurement of fluorescence intensity for vessel and perfusion quantification. Thesis title: Using Computer Vision and Machine Learning for the Advancement in Classification of Brain Tumours from Magnetic Resonance Spectroscopy Imaging. Kather, J.N., Krisam, J., Charoentong, P., Luedde, T., Herpel, E., Weis, C.-.A. … Halama, N. (2019). Predicting survival from colorectal cancer histology slides using deep learning: A retrospective multicenter study. PLOS Medicine, 16(1). doi:10.1371/journal.pmed.1002730 . Reyes-Aldasoro, C.C. (2017). The proportion of cancer-related entries in PubMed has increased considerably; Is cancer truly "the Emperor of All Maladies"? PLoS ONE, 12(3). doi:10.1371/journal.pone.0173671 . Reyes-Aldasoro, C.C. (2015). Biomedical Image Analysis Recipes in MATLAB®: For Life Scientists and Engineers. ISBN 978-1-118-65755-3. Reyes-Aldasoro, C.C., Barri, M. and Hafezparast, M. (2015). Automatic segmentation of focal adhesions from mouse embryonic fibroblasts. 2015 IEEE 12th International Symposium on Biomedical Imaging (ISBI) (pp. 548–551). ISBN 978-1-4673-9330-0. Tozer, G.M., Daniel, R., Lunt, S.J., Reyes-Aldasoro, C.C. and Cunningham, V.J. (2014). Haemodynamics and oxygenation of the tumour microcirculation. Advances in Intravital Microscopy: From Basic to Clinical Research (pp. 125–141). ISBN 978-94-017-9360-5. Reyes-Aldasoro, C.C. and Bhalerao, A. Volumetric Texture Analysis in Biomedical Imaging. In Pereira, M. and Freire, M. (Eds. ), Biomedical Diagnostics and Clinical Technologies: Applying High-Performance Cluster and Grid Computing IGI-Global. ISBN 978-1-60566-280-0. Olliverre, N.J., Yang, G., Slabaugh, G.G., Reyes-Aldasoro, C.C. and Alonso, E. (2018). Generating Magnetic Resonance Spectroscopy Imaging Data of Brain Tumours from Linear, Non-Linear and Deep Learning Models. SASHIMI 2018: Simulation and Synthesis in Medical Imaging, LNCS 11037, 130-138 16-22 September, Granada, Spain. Solís-Lemus, J.A., Stramer, B., Slabaugh, G. and Reyes-Aldasoro, C.C. (2018). Analysis of the interactions of migrating macrophages. Verhoeven, J., Miller, N.R. and Reyes-Aldasoro, C.C. (2018). Analysis of the symmetry of electrodes for electropalatography with cone beam CT scanning. Karabağ, C., Jones, M.L., Peddie, C.J., Weston, A.E., Collinson, L.M. and Reyes-Aldasoro, C.C. (2018). Automated segmentation of HeLa nuclear envelope from electron microscopy images. Solis-Lemus, J.A., Stramer, B., Slabaugh, G. and Reyes-Aldasoro, C.C. (2018). Shape analysis and tracking of migrating macrophages. Moazzam Jawaid, M., Ramirez-Perez, F., Plumerault, A., Quilichini, F., Alonso Solis-Lemus, J., Martinez-Lemus, L. … Carlos Reyes-Aldasoro, C. (2018). Morphological analysis of fenestrae in arteries. Olliverre, N., Yang, G., Slabaugh, G.G., Reyes-Aldasoro, C.C. and Alonso, E. (2018). Generating Magnetic Resonance Spectroscopy Imaging Data of Brain Tumours from Linear, Non-linear and Deep Learning Models. Reyes-Aldasoro, C. (2017). The proportion of cancer related entries in PubMed has increased considerably. NCRI Cancer Conference 5-8 November, Liverpool, UK. Solís-Lemus, J.A., Stramer, B., Slabaugh, G. and Reyes-Aldasoro, C.C. (2017). Segmentation of overlapping macrophages using Anglegram analysis. Jawaid, M.M., Rajani, R., Liatsis, P., Reyes-Aldasoro, C.C. and Slabaugh, G. (2017). Improved CTA coronary segmentation with a volume-specific intensity threshold. Cartas Ayala, A., Aghaei, M., Grueter, C., Ratnieks, F. and Reyes-Aldasoro, C.C. (2016). Behavior Analysis of Ants from Video Sequences. International Conference on Pattern Recognition (Visual observation and analysis of Vertebrate And Insect Behavior 2016) 4-8 December, Cancun, Mexico. Solis-Lemus, J.A., Huang, Y., Wlodkovic, D. and Reyes-Aldasoro, C. (2015). Microfluidic environment and tracking analysis for the observation of Artemia Franciscana. British Machine Vision Conference 7-10 September, Swansea, UK. Mian, A. and Reyes-Aldasoro, C. (2015). Quantification of the Effects of Low Dose Radiation and its Impact on Cardiovascular Risks. Medical Image Understanding and Analysis 15-17 July, Lincoln, UK. Hoffmann, E. and Reyes-Aldasoro, C. (2015). Automatic segmentation of centromeres, foci and delineation of chromosomes. Medical Image Understanding and Analysis 15-17 July, Lincoln, UK. Huang, Y., Reyes Aldasoro, C.C., Persoone, G. and Wlodkowic, D. (2015). Integrated microfluidic technology for sub-lethal and behavioral marine ecotoxicity biotests. Fonseca, J., Reyes-Aldasoro, C.C. and Wils, L. (2015). Three-dimensional quantification of the morphology and intragranular void ratio of a shelly carbonate sand. Bender, S., Castorena-Gonzalez, J., Garro, M., Reyes-Aldasoro, C., Sowers, J., DeMarco, V. … Martinez-Lemus, L. (2015). Regional Variation in Arterial Stiffening and Dysfunction in Western Diet-Induced Obesity. Blazakis, K., Reyes-Aldasoro, C., Styles, V., Venkataraman, C. and Madzvamuse, A. (2014). An optimal control approach to cell tracking. Inverse Problems, from Theory to Application 26-28 August, Bristol, UK. Bowyer, S., Kanthou, C. and Reyes-Aldasoro, C. (2014). Analysis of capillary-like structures formed by endothelial cells in a novel organotypic assay developed from heart tissue. Medical Image Understanding and Analysis 9-11 July, London. (2014). Medical Image Understanding and Analysis 2014. Medical Image Understanding and Analysis 9-11 July, London UK. Doulgerakis, M., Argyriou, V., Tzimiropoulos, G. and Pierscionek, B.K. (2014). Non-Intrusive Action Symmetry Measurement for Dementia and Rehabilitation. Unger, J., Schuster, M., Hecker, D.J., Schick, B. and Lohscheller, J. (2014). A Wavelet-based Approach for Analyzing Non-Stationary Phonation Sequences from Endoscopic High-Speed Videos. Flight, R., Landini, G., Styles, I.B., Shelton, R., Milward, M. and Cooper, P. (2014). Semi-Automated Cell Counting in Phase Contrast Images of Epithelial Monolayers. Udomchaiporn, A., Coenen, F., Sluming, V. and García-Fiñana, M. (2014). 3-D MRI Brain Scan Classification of Epilepsy versus Non-Epilepsy. Hernández, M.D.C.V., Kim, J.-.I., Whiteford, I., Qiu, X., Wardlaw, J.M. and Park, J. (2014). Automatic Hippocampal Multimodal Assessment for Studies of Stroke and Small Vessel Disease. Zhang, J., McKenna, S.J., Zhang, J., Coats, M. and Carey, F.A. (2014). Analysing the Surface Morphology of Colorectal Polyps: Differential Geometry and Pit Pattern Prediction. Khazendar, S., Farren, J., Al-Assam, H., Du, H., Sayasneh, A., Bourne, T. … Jassim, S. (2014). Automatic Identification of Early Miscarriage Based on Multiple Features Extracted From Ultrasound Images. Fordyce, N., McKenna, S.J., Hacker, C. and Lucocq, J. (2014). Finding Golgi Stacks in Electron Micrographs. Fiorini, S., Ballerini, L., Trucco, E. and Ruggeri, A. (2014). Automatic Generation of Synthetic Retinal Fundus Images. Yu, T.Y., Dehghani, H., Brain, K.L., Syeda, F., Holmes, A., Kirchhof, P. … Fabritz, L. (2014). New Optical Mapping Design and Automated Algorithms for Cardiac Electrophysiology. Körner, M., Krishna, M.V., Süße, H., Ortmann, W. and Denzler, J. (2014). Regularized Geometric Hulls for Nucleus Segmentation from Microscopy Images. Emrith, K., Slabaugh, G.G., Poullis, A., Groves, C. and Smith, M.L. (2014). Photometric Stereo Reconstruction for Surface Analysis of Mucosal Tissue. Huang, T., Hacker, C., Lucocq, J. and McKenna, S.J. (2014). Detecting and Segmenting Nanodiscs in Immuno-Electron Micrographs. Cury, C., Glaunès, J.A., Chupin, M. and Colliot, O. (2014). Fast Template-based Shape Analysis Using Diffeomorphic Iterative Centroid. Constantinou, I., Pattichis, M.S., Tziakouri, C., Pattichis, C.S. and Petroudi, S. (2014). Multiscale AM-FM Models and Instantaneous Amplitude Evaluation for Mammographic Density Classification. Al-Baddai, S., Al-Subari, K., Tomé, A.M., Volberg, G. and Lang, E.W. (2014). Combining EMD with ICA to Analyze Combined EEG-fMRI Data. Ahmad, J., Sun, J., Smith, L.N. and Smith, M.L. (2014). Non-Contact Pulmonary Functional Testing Through an Improved Photometric Stereo Approach. Zhang, L., Fisher, M. and Wang, W. (2014). Retinal Vessel Segmentation using Gabor Filter and Textons. Sahrim, M., Nixon, M.S. and Carare, R. (2014). On Bloodvessel Branching Analysis for the Detection of Alzheimer's Disease. Khadidos, A., Sanchez, V. and Li, C.-.T. (2014). Active Contours with Weighted External Forces for Medical Image Segmentation. Nketia, T.A., Rittscher, J. and Noble, J.A. (2014). Utilizing Phase Retardation Features for Segmenting Cells in Phase Contrast Microscopy Images. Jaccard, N., Szita, N. and Griffin, L.D. (2014). Trainable Segmentation of Phase Contrast Microscopy Images Based on Local Basic Image Features Histograms. Correa, J., Auer, M. and Skinner, D. (2014). Integrated Tools for Next Generation Bioimaging. Okuboyejo, D., Olugbara, O.O. and Odunaike, S. (2014). Unsupervised Restoration of Hair-Occluded Lesion in Dermoscopic Images. Vasconcelos, M.J.M. and Rosado, L. (2014). Automatic Reflection Detection on Dermatological Images Acquired via Mobile Devices. Kolár, R. and Podlipna, P. (2014). Analysis of Images from Optical Coherence Tomography for the Nanoparticle Transport. Ferrarese, F.P. and Larsson, J. (2014). Challenges in Functional Imaging of the Visual Cortex: Data-driven Model-agnostic Estimation of Population Receptive Fields. Cheng, D.-.C. and Liu, S.-.H. (2014). Automated Vessel Boundary Detection Using 3D Expansion of Dynamic Programming. Bowyer, S., Kanthou, C. and Reyes-Aldasoro, C.C. (2014). Analysis of Capillary-like Structures Formed by Endothelial Cells in a Novel Organotypic Assay Developed from Heart Tissue. (2014). Medical Image Understanding and Analysis - MIUA 2014. 18th Annual Conference, Egham, UK, July 9-11, 2014. Proceedings. Bakas, S., Chatzimichail, K., Labbé, B., Hunter, G., Sidhu, P.S. and Makris, D. (2014). Fast Segmentation of Focal Liver Lesions in Contrast-Enhanced Ultrasound Data. He, W., Kibiro, M., Juette, A., Hogg, P., Denton, E.R.E. and Zwiggelaar, R. (2014). A Novel Breast Image Preprocessing For Full Field Digital Mammographic Segmentation and Risk Classification. Janssens, T., Vanhees, I., Gunst, J., Owen, H., Berghe, G.V.D. and Grandas, F.G. (2014). Automated Histological Quantification of Trabecular Bone Tissue in Critical Illness. Okashi, O.A., Du, H., Selway, J.L., Lelliott, C., Maguire, S., Melvin, D. … Al-Assam, H. (2014). Automatic Ribs Segmentation and Counting From Mouse X-ray Images. Schenk, F., Urschler, M., Aigner, C., Roesner, I., Aichinger, P. and Bischof, H. (2014). Automatic Glottis Segmentation from Laryngeal High-Speed Videos Using 3D Active Contours. Soltaninejad, M., Ye, X., Yang, G., Allinson, N.M. and Lambrou, T. (2014). Brain Tumour Grading in Different MRI Protocols using SVM on Statistical Features. Soltaninejad, M., Lambrou, T., Qureshi, A., Allinson, N.M. and Ye, X. (2014). A Hybrid Method for Haemorrhage Segmentation in Trauma Brain CT.
Phillips, M., Barrington, S., Hill, D.L.G. and Marsden, P. (2014). Comparison of Threshold-Based Segmentation Methods on Pre- and Post-Therapy PET Scans. Nelson, C.J., Dixon, M., Laissue, P. and Obara, B. (2014). Speeding Up Active Mesh Segmentation by Local Termination of Nodes. Meah, C., Marshall, R., Claridge, E., Bongs, K. and Styles, I.B. (2014). A Simulation Toolbox For Biomedical Plenoptic Imaging. Margeta, J., Criminisi, A., Lee, D.C. and Ayache, N. (2014). Recognizing Cardiac Magnetic Resonance Acquisition Planes. Soukup, J., Lasan, M. and Sroubek, F. (2014). Segmentation of Individual Cells in Phase Contrast Microscopy Images. Purwani, S., Cootes, T.F. and Twining, C.J. (2014). Ensemble Registration: Combining Groupwise Registration and Segmentation. Namburete, A.I.L., Stebbing, R.V. and Noble, J.A. (2014). Diagnostic Plane Extraction from 3D Parametric Surface of the Fetal Cranium. Pansiot, J., Revéret, L. and Boyer, E. (2014). Combined Visible and X-Ray 3D Imaging. Qureshi, A. and Schetinin, V. (2014). Computer-Aided Segmentation and Estimation of Indices in Brain CT Scans. Kanthou, C., Dachs, G., Lefley, D., Reyes-Aldasoro, C. and English, W. (2013). Endogenous VEGF isoform expression regulates tumour cell motility. 2013 NCRI Cancer Conference 3-6 November, Liverpool. Griffiths, M.K., Reyes-Aldasoro, C. and Rodenberg, J.M. (2012). A Framework for Providing Research Applications as a Service Using the IOME Toolkit. Digital Research 2012 10-12 September, Oxford, UK. Henry, K., Reyes-Aldasoro, C.C. and Renshaw, S.A. (2012). Exploring neutrophil behaviour in a zebrafish model of inflammation through the generation of novel parameters using MatLab algorithms. European Conference in Immunology 5-8 September, Glasgow UK. Reyes-Aldasoro, C.C., Henry, K. and Renshaw, S.A. (2012). Tracking neutrophils in zebrafish: the use of synthetic data sets. Medical Image Understanding and Analysis 9-11 July, Swansea UK. Kanthou, C., Ghareai, Z., Haagen, J., Lunt, S.J., Reyes-Aldasoro, C., Doeer, W. … Tozer, G.M. (2012). Inhibition of angiogenesis in the mouse heart by ionizing radiation. ACR 103rd Annual Meeting 31 Mar 2012 – 4 Apr 2012, Chicago IL. Bhalerao, A., Pase, L., Lieschke, G.J., Renshaw, S.A. and Reyes-Aldasoro, C.C. (2012). Local affine texture tracking for serial registration of zebrafish images. Reyes-Aldasoro, C.C., Bjorndahl, M., Akerman, S., Ibrahim, J. and Tozer, G.M. (2011). An on-line chromatic and scale-space microvasculature-tracing analysis for transmitted light optical images. Medical Image Understanding and Analysis 14-15 July, London UK. Reyes-Aldasoro, C., Bjorndahl, M., Akerman, S., Ibrahim, J. and Tozer, G.M. (2011). An on-line chromatic and scale-space microvasculature-tracing analysis for transmitted light optical images. Medical Image Understanding and Analysis 14-15 July, London, Uk. Reyes-Aldasoro, C.C., Bjorndahl, M., Ibrahim, J., Akerman, S. and Tozer, G.M. (2010). A scale-space tracing algorithm for analysis of tumour blood vessel morphology from transmitted light optical images. 2010 NCRI Cancer Conference 31 Oct 2010 – 3 Nov 2010, Liverpool. Kanthou, C., Reyes-Aldasoro, C.C. and Tozer, G.M. (2010). Signaling interactions between RhoGTPase and cAMP/cGMP influence endothelial responses to the vascular disrupting agent combretastatin A4 phosphate. 2010 NCRI Cancer Conference 31 Oct 2010 – 3 Nov 2010, Liverpool. Williams, L., Fisher, M., Reyes-Aldasoro, C.C., Kanthou, C. and Tozer, G.M. (2010). A critical role for RhoA-GTPase signaling in the tumour vascular disrupting action of combretastatin A4-phosphate in vivo. 2010 NCRI Cancer Conference 31 Oct 2010 – 3 Nov 2010, Liverpool. Reyes-Aldasoro, C., Williams, L.J., Akerman, S., Kanthou, C. and Tozer, G.M. (2010). Segmentation and morphological analysis of microvessels in immunostained histological tumour sections. Medical Image Understanding and Analysis 6-7 July, Warwick, Uk. Griffiths, M.K., Reyes-Aldasoro, C., Savas, D. and Greenfield, T. (2009). IOME, A Toolkit for Distributed and Collaborative Computational Science and Engineering. UK e-science All Hands Meeting 7-9 December, Oxford, UK. Reyes-Aldasoro, C., Zhao, Y., Coca, D., Billings, S.A., Kadirkamanathan, V., Tozer, G.M. … Renshaw, S.A. (2009). Analysis of immune cell function using in vivo cell shape analysis and tracking. Pattern Recognition in Bioinformatics 7-9 September, Sheffield, UK. Akerman, S., Reyes-Aldasoro, C., Fisher, M., Pettyjohn, K.L., Bjorndahl, M., Evans, H. … Tozer, G.M. (2009). Microflow of fluorescently labelled red blood cells in tumours expressing single isoforms of VEGF and their response to VEGF-R tyrosine kinase inhibition. Micro and Nano Fluids 1-2 September, London, Uk. Reyes-Aldasoro, C.C., Akerman, S. and Tozer, G.M. (2007). Measuring red blood cell velocity with a keyhole tracking algorithm. Bhalerao, A. and Reyes-Aldasoro, C.C. (2003). Volumetric Texture Description and Discriminant Feature Selection for MRI. Reyes-Aldasoro, C.C. and Kuhlmann, F. (1999). Telecommunications and Internet in the Future Society: Myths and Realities. Reyes-Aldasoro, C.C., Akerman, S. and Tozer, G.M. Measuring Red Blood Cell Velocity with a Keyhole Tracking Algorithm. Reyes-Aldasoro, C. (2013). Synthetic Data for Neutrophil Analysis. Verhoeven, J., Miller, N., Daems, L. and Reyes-Aldasoro, C. (2019). Visualisation and Analysis of Speech Production with Electropalatography. Journal of Imaging, 5(3), pp. 40–40. doi:10.3390/jimaging5030040 . Solís-Lemus, J.A., Stramer, B., Slabaugh, G. and Reyes-Aldasoro, C.C. (2019). MacroSight: A novel framework to analyze the shape and movement of interacting macrophages using MAtLABR †. Journal of Imaging, 5(1). doi:10.3390/jimaging5010017 . Slabaugh, G. and Reyes-Aldasoro, C.C. (2018). Guest Editorial: Computer vision in cancer data analysis. IET Computer Vision, 12(8), pp. 1047–1048. doi:10.1049/iet-cvi.2018.5606 . Karabağ, C., Jones, M., Peddie, C., Weston, A., Collinson, L. and Reyes-Aldasoro, C.C. (2018). Modelling the nuclear envelope of HeLa cells. . doi:10.1101/344986 . Kather, J.N., Berghoff, A.S., Ferber, D., Suarez-Carmona, M., Reyes-Aldasoro, C.C., Valous, N.A. … Halama, N. (2018). Large-scale database mining reveals hidden trends and future directions for cancer immunotherapy. OncoImmunology. doi:10.1080/2162402X.2018.1444412 . Jawaid, M.M., Narejo, S., Pirzada, N., Baloch, J., Reyes-Aldasoro, C.C. and Slabaugh, G. (2018). Automated quantification of non-calcified coronary plaques in cardiac CT angiographic imagery. International Journal of Advanced Computer Science and Applications, 9(7), pp. 216–222. doi:10.14569/IJACSA.2018.090731 . Solís-Lemus, J.A., Stramer, B., Slabaugh, G.G. and Reyes-Aldasoro, C.C. (2017). Segmentation and Shape Analysis of Macrophages Using Anglegram Analysis. Journal of Imaging, 4(1). doi:10.3390/jimaging4010002 . Ulman, V., Maška, M., Magnusson, K.E.G., Ronneberger, O., Haubold, C., Harder, N. … Ortiz-De-Solorzano, C. (2017). An objective comparison of cell-tracking algorithms. Nature Methods, 14(12), pp. 1141–1152. doi:10.1038/nmeth.4473 . Jawaid, M.M., Riaz, A., Rajani, R., Reyes-Aldasoro, C.C. and Slabaugh, G. (2017). Framework for detection and localization of coronary non-calcified plaques in cardiac CTA using mean radial profiles. Computers in Biology and Medicine, 89, pp. 84–95. doi:10.1016/j.compbiomed.2017.07.021 . Carlos Reyes-Aldasoro, C. and Slabaugh, G. (2017). Special issue: medical image understanding and analysis. Computer Methods in Biomechanics and Biomedical Engineering: Imaging and Visualization, 5(5), p. 317. doi:10.1080/21681163.2015.1081080 . Jawaid, M.M., Rajani, R., Liatsis, P., Reyes-Aldasoro, C.C. and Slabaugh, G. (2017). A hybrid energy model for region based curve evolution – Application to CTA coronary segmentation. Computer Methods and Programs in Biomedicine, 144, pp. 189–202. doi:10.1016/j.cmpb.2017.03.020 . Reyes-Aldasoro, C.C., Bjorndahl, M., Kanthou, C. and Tozer, G.M. (2017). Topological analysis of the vasculature of angiopoietin-expressing tumours through scale-space tracing. Communications in Computer and Information Science, 723, pp. 285–296. doi:10.1007/978-3-319-60964-5_25 . Lee, J., Park, C.H., Oh, C.S., Han, K. and Kim, T.H. (2016). Coronary Computed Tomographic Angiography at 80 kVp and Knowledge-Based Iterative Model Reconstruction Is Non-Inferior to that at 100 kVp with Iterative Reconstruction. PLOS ONE, 11(9). doi:10.1371/journal.pone.0163410 . Green, R.L., Simoes, F.A., Reyes-Aldasoro, C.C., Rossor, A.M., Scoto, M., Barri, M. … Hafezparast, M. (2016). A DYNC1H1 MUTATION IN AUTOSOMAL DOMINANT SPINAL MUSCULAR ATROPHY SHOWS THE POTENTIAL OF PHARMACOLOGICAL INHIBITION OF HISTONE DEACETYLASE 6 AS A TREATMENT FOR DISEASE ASSOCIATED CELLULAR PHENOTYPES. JOURNAL OF THE PERIPHERAL NERVOUS SYSTEM, 21(3), pp. 261–262. Foote, C.A., Castorena-Gonzalez, J.A., Ramirez-Perez, F.I., Jia, G., Hill, M.A., Reyes-Aldasoro, C.C. … Martinez-Lemus, L.A. (2016). Arterial stiffening in western diet-fed mice is associated with increased vascular elastin, transforming growth factor-ß, and plasma neuraminidase. Frontiers in Physiology, 7(JUL). doi:10.3389/fphys.2016.00285 . Pennington, K.A., Ramirez-Perez, F.I., Pollock, K.E., Talton, O.O., Foote, C.A., Reyes-Aldasoro, C.C. … Schulz, L.C. (2016). Maternal hyperleptinemia is associated with male offspring's altered vascular function and structure in mice. PLoS ONE, 11(5). doi:10.1371/journal.pone.0155377 . Ramirez-Perez, F.I., Pennington, K.A., Pollock, K.E., Esangbedo, O., Foote, C.A., Reyes-Aldasoro, C.C. … Schulz, L.C. (2016). Maternal Hyperleptinemia Increases Arterial Stiffening and Alters Vasodilatoy Responses to Insulin in Adult Male Mice Offspring. FASEB JOURNAL, 30. Kather, N.J., Weis, C.A., Zöllner, F.G. and Reyes-Aldasoro, C. (2016). Mapping tumour tissue: quantitative maps of histological whole slide images. Oncology News, 10(6), pp. 188–190. Blazakis, K.N., Madzvamuse, A., Reyes-Aldasoro, C.C., Styles, V. and Venkataraman, C. (2015). Whole cell tracking through the optimal control of geometric evolution laws. Journal of Computational Physics, 297, pp. 495–514. doi:10.1016/j.jcp.2015.05.014 . Slabaugh, G. and Reyes-Aldasoro, C. (2015). Guest Editorial: Medical Image Understanding and Analysis. Annals of the British Machine Vision Association, 2015(1), pp. 1–2. Yin, T., Ali, F.H. and Reyes-Aldasoro, C.C. (2015). A robust and artifact resistant algorithm of ultrawideband imaging system for breast cancer detection. IEEE Transactions on Biomedical Engineering, 62(6), pp. 1514–1525. doi:10.1109/TBME.2015.2393256 . LladÍo, X., Imiya, A., Mason, D., Reyes-Aldasoro, C.C., Aoki, K., Kudo, M. … Argyriou, V. (2015). Erratum: Homage to professor maria petrou (Pattern Recognition Letters (2014) 48 (2-7)). Pattern Recognition Letters, 54, p. 1. doi:10.1016/j.patrec.2015.01.006 . Kather, J.N., Marx, A., Reyes-Aldasoro, C.C., Schad, L.R., Zöllner, F.G. and Weis, C.A. (2015). Continuous representation of tumor microvessel density and detection of angiogenic hotspots in histological whole-slide images. Oncotarget, 6(22), pp. 19163–19176. doi:10.18632/oncotarget.4383 . Bender, S.B., Castorena-Gonzalez, J.A., Garro, M., Reyes-Aldasoro, C.C., Sowers, J.R., DeMarco, V.G. 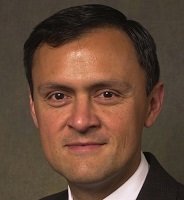 … Martinez-Lemus, L.A. (2015). Regional variation in arterial stiffening and dysfunction in Western diet-induced obesity. American Journal of Physiology - Heart and Circulatory Physiology, 309(4). doi:10.1152/ajpheart.00155.2015 . (2014). Homage to Professor Maria Petrou. Pattern Recognition Letters, 48, pp. 2–7. doi:10.1016/j.patrec.2014.06.008 . Kanthou, C., Dachs, G.U., Lefley, D.V., Steele, A.J., Coralli-Foxon, C., Harris, S. … Tozer, G.M. (2014). Tumour cells expressing single VEGF isoforms display distinct growth, survival and migration characteristics. PLoS ONE, 9(8). doi:10.1371/journal.pone.0104015 . Williams, L.J., Mukherjee, D., Fisher, M., Reyes-Aldasoro, C.C., Akerman, S., Kanthou, C. … Tozer, G.M. (2014). An in vivo role for Rho kinase activation in the tumour vascular disrupting activity of combretastatin A-4 3-O-phosphate. British Journal of Pharmacology, 171(21), pp. 4902–4913. doi:10.1111/bph.12817 . Akerman, S., Fisher, M., Daniel, R.A., Lefley, D., Reyes-Aldasoro, C.C., Lunt, S.J. … Tozer, G.M. (2013). Influence of soluble or matrix-bound isoforms of vascular endothelial growth factor-A on tumor response to vascular-targeted strategies. International Journal of Cancer, 133(11), pp. 2563–2576. doi:10.1002/ijc.28281 . Reyes-Aldasoro, C. (2013). Cancer Image Analysis. Oncology News, 8(5), pp. 158–160. de Oliveira, S., Reyes-Aldasoro, C.C., Candel, S., Renshaw, S.A., Mulero, V. and Calado, A. (2013). Cxcl8 (IL-8) mediates neutrophil recruitment and behavior in the zebrafish inflammatory response. J Immunol, 190(8), pp. 4349–4359. doi:10.4049/jimmunol.1203266 . Henry, K.M., Pase, L., Ramos-Lopez, C.F., Lieschke, G.J., Renshaw, S.A. and Reyes-Aldasoro, C.C. (2013). PhagoSight: An Open-Source MATLAB® Package for the Analysis of Fluorescent Neutrophil and Macrophage Migration in a Zebrafish Model. PLoS ONE, 8(8). Holmes, G.R., Anderson, S.R., Dixon, G., Robertson, A.L., Reyes-Aldasoro, C.C., Billings, S.A. … Kadirkamanathan, V. (2012). Repelled from the wound, or randomly dispersed? Reverse migration behaviour of neutrophils characterized by dynamic modelling. J R Soc Interface, 9(77), pp. 3229–3239. doi:10.1098/rsif.2012.0542 . Reyes-Aldasoro, C.C., Björndahl, M.A., Akerman, S., Ibrahim, J., Griffiths, M.K. and Tozer, G.M. (2012). Online chromatic and scale-space microvessel-tracing analysis for transmitted light optical images. Microvascular Research, 84(3), pp. 330–339. doi:10.1016/j.mvr.2012.09.002 . Pase, L., Layton, J.E., Wittmann, C., Ellett, F., Nowell, C.J., Reyes-Aldasoro, C.C. … Lieschke, G.J. (2012). Neutrophil-delivered myeloperoxidase dampens the hydrogen peroxide burst after tissue wounding in zebrafish. Curr Biol, 22(19), pp. 1818–1824. doi:10.1016/j.cub.2012.07.060 . Kadirkamanathan, V., Anderson, S.R., Billings, S.A., Zhang, X., Holmes, G.R., Reyes-Aldasoro, C.C. … Renshaw, S.A. (2012). The neutrophil's eye-view: Inference and visualisation of the chemoattractant field driving cell chemotaxis in vivo. PLoS ONE, 7(4). doi:10.1371/journal.pone.0035182 . Kanthou, C., Gharaei, Z., Haagen, J., Lunt, S.J., Reyes-Aldasoro, C.R.-.A.C., Doerr, W. … Tozer, G.M. (2012). Abstract 5723: Inhibition of angiogenesis in the mouse heart by ionizing radiation. Cancer Research, 72(8 Supplement), pp. 5723–5723. doi:10.1158/1538-7445.am2012-5723 . Holmes, G.R., Dixon, G., Anderson, S.R., Reyes-Aldasoro, C.C., Elks, P.M., Billings, S.A. … Renshaw, S.A. (2012). Drift-Diffusion Analysis of Neutrophil Migration during Inflammation Resolution in a Zebrafish Model. Adv Hematol, 2012, p. 792163. doi:10.1155/2012/792163 . Lunt, S.J., Akerman, S., Hill, S.A., Fisher, M., Wright, V.J., Reyes-Aldasoro, C.C. … Kanthou, C. (2011). Vascular effects dominate solid tumor response to treatment with combretastatin A-4-phosphate. Int J Cancer, 129(8), pp. 1979–1989. doi:10.1002/ijc.25848 . Akerman, S., Reyes-Aldasoro, C.C., Fisher, M., Pettyjohn, K.L., Björndahl, M.A., Evans, H. … Tozer, G.M. (2011). Microflow of fluorescently labelled red blood cells in tumours expressing single isoforms of VEGF and their response to vascular targeting agents. Med Eng Phys, 33(7), pp. 805–809. doi:10.1016/j.medengphy.2010.09.006 . Reyes-Aldasoro, C.C., Griffiths, M.K., Savas, D. and Tozer, G.M. (2011). CAIMAN: an online algorithm repository for Cancer Image Analysis. Comput Methods Programs Biomed, 103(2), pp. 97–103. doi:10.1016/j.cmpb.2010.07.007 . Elks, P.M., van Eeden, F.J., Dixon, G., Wang, X., Reyes-Aldasoro, C.C., Ingham, P.W. … Renshaw, S.A. (2011). Activation of hypoxia-inducible factor-1α (Hif-1α) delays inflammation resolution by reducing neutrophil apoptosis and reverse migration in a zebrafish inflammation model. Blood, 118(3), pp. 712–722. doi:10.1182/blood-2010-12-324186 . Reyes-Aldasoro, C.C., Williams, L.J., Akerman, S., Kanthou, C. and Tozer, G.M. (2011). An automatic algorithm for the segmentation and morphological analysis of microvessels in immunostained histological tumour sections. J Microsc, 242(3), pp. 262–278. doi:10.1111/j.1365-2818.2010.03464.x . Williams, L., Fisher, M., Reyes-Aldasoro, C.C., Kanthou, C. and Tozer, G.M. (2011). Abstract 1578: A critical role for RhoA-GTPase signaling in the tumor vascular disrupting action of combretastatin-A4-phosphatein vivo. Cancer Research, 71(8 Supplement), pp. 1578–1578. doi:10.1158/1538-7445.am2011-1578 . Lunt, S.J., Gray, C., Reyes-Aldasoro, C.C., Matcher, S.J. and Tozer, G.M. (2010). Application of intravital microscopy in studies of tumor microcirculation. J Biomed Opt, 15(1), p. 11113. doi:10.1117/1.3281674 . Reyes-Aldasoro, C.C. (2009). Retrospective shading correction algorithm based on signal envelope estimation. Electronics Letters, 45(9), pp. 454–456. doi:10.1049/el.2009.0320 . Reyes-Aldasoro, C.C., Biram, D., Tozer, G.M. and Kanthou, C. (2008). Measuring cellular migration with image processing. Electronics Letters, 44(13), pp. 791–793. doi:10.1049/el:20080943 . Tozer, G.M., Akerman, S., Cross, N.A., Barber, P.R., Björndahl, M.A., Greco, O. … Kanthou, C. (2008). Blood vessel maturation and response to vascular-disrupting therapy in single vascular endothelial growth factor-A isoform-producing tumors. Cancer Res, 68(7), pp. 2301–2311. doi:10.1158/0008-5472.CAN-07-2011 . Reyes-Aldasoro, C.C., Akerman, S. and Tozer, G.M. (2008). Measuring the velocity of fluorescently labelled red blood cells with a keyhole tracking algorithm (Journal of Microscopy (2008) 229, 1, (162-173)). Journal of Microscopy, 229(2), p. 384. doi:10.1111/j.1365-2818.2008.01946.x . Reyes-Aldasoro, C.C., Akerman, S. and Tozer, G.M. (2008). Measuring the velocity of fluorescently labelled red blood cells with a keyhole tracking algorithm (vol 229, pg 162, 2008). JOURNAL OF MICROSCOPY-OXFORD, 229(2), pp. 384–384. Reyes-Aldasoro, C.C., Wilson, I., Prise, V.E., Barber, P.R., Ameer-Beg, M., Vojnovic, B. … Tozer, G.M. (2008). Estimation of apparent tumor vascular permeability from multiphoton fluorescence microscopic images of P22 rat sarcomas in vivo. Microcirculation, 15(1), pp. 65–79. doi:10.1080/10739680701436350 . Reyes-Aldasoro, C.C., Akerman, S. and Tozer, G.M. (2008). Measuring the velocity of fluorescently labelled red blood cells with a keyhole tracking algorithm. J Microsc, 229(Pt 1), pp. 162–173. doi:10.1111/j.1365-2818.2007.01877.x . Reyes-Aldasoro, C.C., Akerman, S. and Tozer, G.M. (2008). Measuring the velocity of fluorescently labelled red blood cells with a keyhole tracking algorithm. Journal of Microscopy, 229(1), pp. 162–173. doi:10.1111/j.1365-2818.2007.01877.x . Reyes Aldasoro, C.C. and Bhalerao, A. (2007). Volumetric texture segmentation by discriminant feature selection and multiresolution classification. IEEE Trans Med Imaging, 26(1), pp. 1–14. doi:10.1109/TMI.2006.884637 . Reyes-Aldasoro, C.C. and Bhalerao, A. (2006). The Bhattacharyya space for feature selection and its application to texture segmentation. Pattern Recognition, 39, pp. 812–826. Bhalerao, A. and Reyes-Aldasoro, C.C. (2004). Volumetric texture description and discriminant feature selection for MRI. Lecture Notes in Computer Science (including subseries Lecture Notes in Artificial Intelligence and Lecture Notes in Bioinformatics), 2809, pp. 573–584. Reyes-Aldasoro, C.C. and Bhalerao, A. (2003). Volumetric texture description and discriminant feature selection for MRI. Lecture Notes in Computer Science (including subseries Lecture Notes in Artificial Intelligence and Lecture Notes in Bioinformatics), 2732, pp. 282–293. Reyes-Aldasoro, C.C., Ganguly, A.R., Lemus, G. and Gupta, A. (1999). A hybrid model based on dynamic programming, neural networks, and surrogate value for inventory optimisation applications. Journal of the Operational Research Society, 50(1), pp. 85–94. doi:10.1057/palgrave.jors.2600658 . Reyes-Aldasoro, C.C., Ganguly, A.R., Lemus, G. and Gupta, A. (1999). A Hybrid Model Based on Dynamic Programming, Neural Networks, and Surrogate Value for Inventory Optimisation Applications. The Journal of the Operational Research Society, 50(1), pp. 85–85. doi:10.2307/3010392 . Pazhakh, V., Ellett, F., O'Donnell, J., Pase, L., Schulze, K.E., Greulich, R.S. … Lieschke, G.J. β-glucan dependent shuttling of conidia from neutrophils to macrophages occurs during fungal infection establishment. . doi:10.1101/512228 . Reyes-Aldasoro, C. PhagoSight: an open-source MATLAB package for the analysis of neutrophils and macrophage migration..
Reyes-Aldasoro, C., Griffiths, M.K., Savas, D. and Tozer, G.M. www.caiman.org.uk..
Reviewer for Pattern Recognition Letters. Reviewer for IEEE Transactions on Medical Imaging. Reviewer for IEEE Transactions on Image Processing. Reviewer for IEEE Transactions on Neural Networks. Reviewer for IEEE Transactions on Systems, Man, and Cybernetics. Reviewer for Computational and Mathematical Methods in Medicine. Reviewer for American Journal of Pathology. Reviewer for Annals of the BMVA. Assistant Editor for Oncology News. Medical Image Understanding and Analysis. Royal Holloway University of London (2014). Angiogenesis Network Conference. Sheffield University (2007).